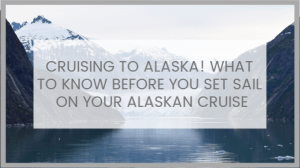 Come on in and discover Cruising to Alaska! Part Four: Skagway. 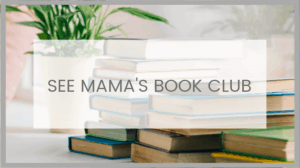 If you missed the first couple of posts, go back and check them out! You can read all about my time on board the Ruby Princess. Explore a day in Ketchikan. Then go on to discover the best of Juneau. And don’t miss the complete list of What to Wear on an Alaskan Cruise! I have to admit, Skagway was not at the top of my list of all the places in Alaska we were going to visit on our Alaskan cruise. Ketchikan was known for Creek Street and tons of wilderness. And Juneau was popular for all the seafood and had all the best excursions. But Skagway is a small town of only 920 year-round residents. However, this tiny town ended up being the highlight of our trip. 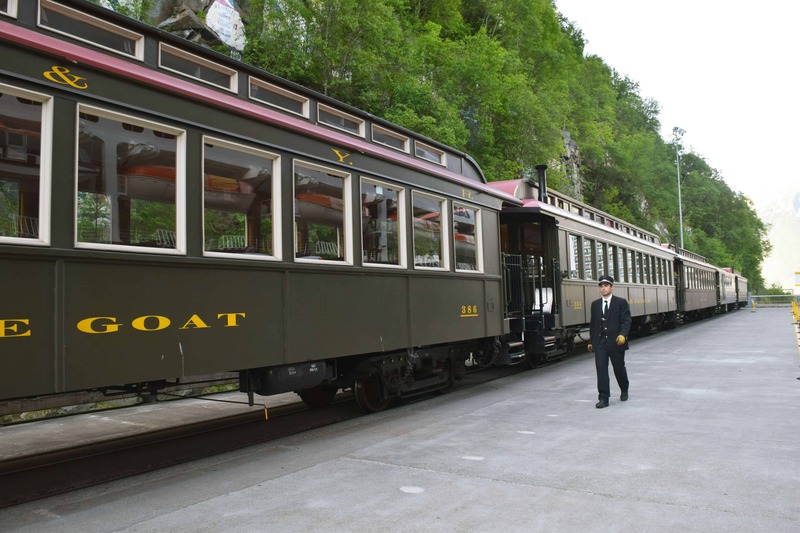 If you want to experience the Klondike gold rush then Skagway is the best town to do that in. And while some of the other stops in Alaska have become tourist traps, Skagway has maintained a lot of its 1800’s feel. As a result, you can walk the entire town with ease on the wooden plank boardwalk that runs along well-maintained buildings straight out of the gold rush era. 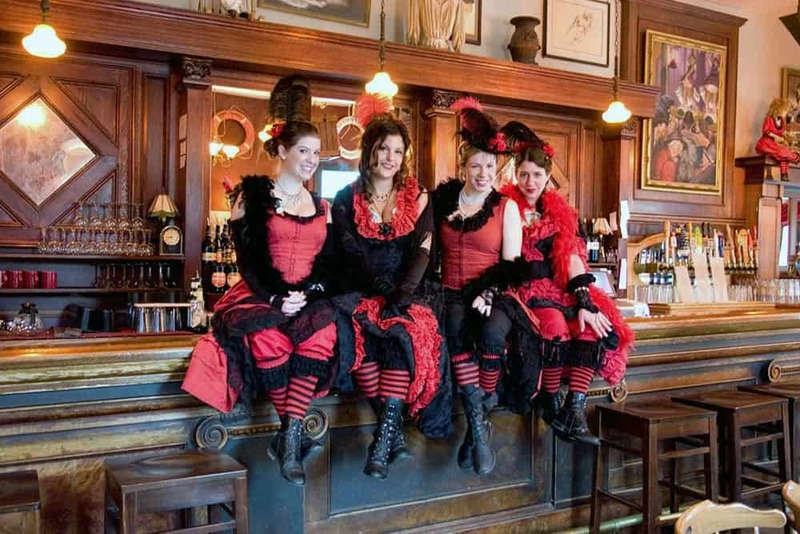 Two don’t miss places are the Skagway Brewing Company and the Red Onion Saloon. The Skagway Brewing Company was founded in 1897 and has gone through many transitions over the years but stands today as an iconic building serving amazing food and craft beer. The Red Onion Saloon was also established in 1897 but at the time was a bordello. It remains very similar today and is a great place to not only grab a drink but take a tour as well. In addition, they have several different tours where you can view the brothel museum or take a ghost tour around town. If you have a spare minute, just walk around the town. There are several historic sites and buildings from the gold rush era that give you a great sense of history about the area. 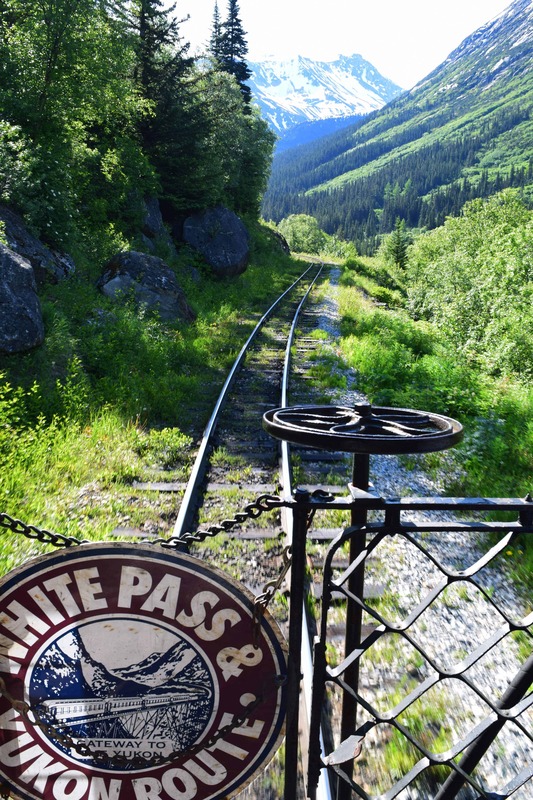 The one thing about Skagway that gets hammered over and over again is the White Pass And Yukon Railroad. 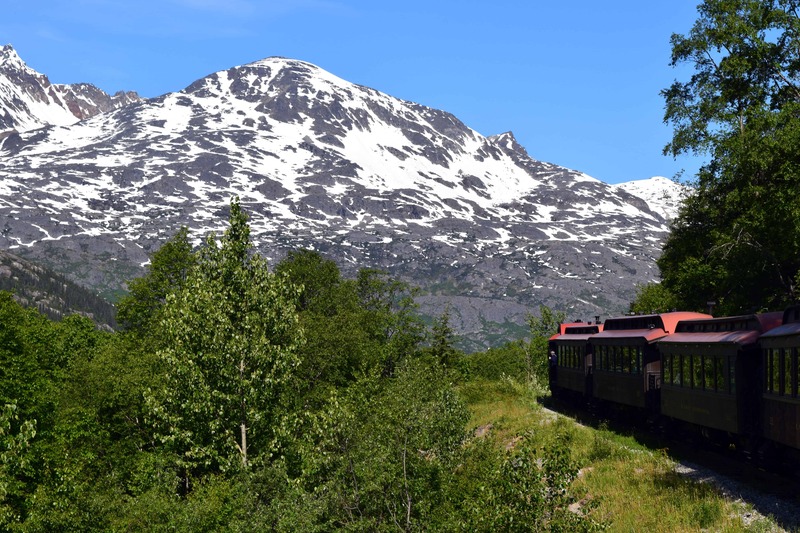 There are about a dozen different excursions involving this train and its constantly being advertised as the most popular excursion… so you better book it fast! A 3.5-hour tour up the mountain and back was the shortest excursion available. I was very hesitant to book this for a few reasons. First, I wasn’t too thrilled about spending 3.5 hours sitting on a train. 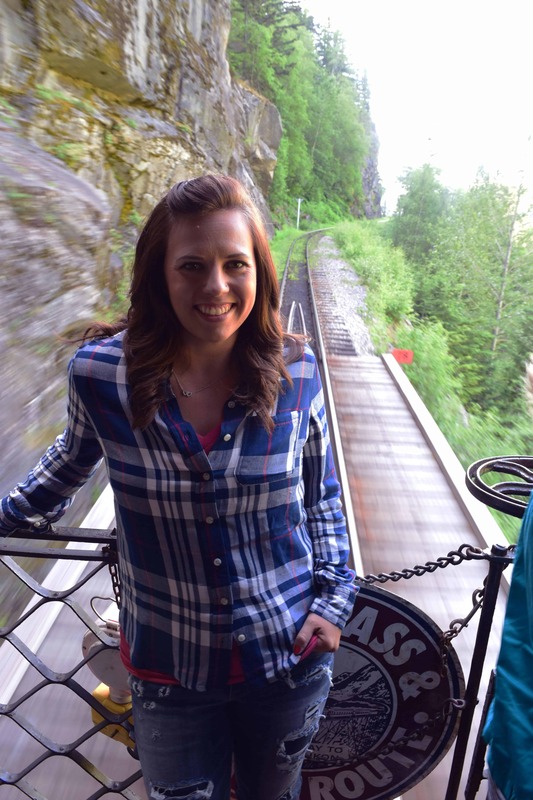 I wanted to experience Alaska firsthand, and really get out there. Sitting on a train for half the day didn’t sound too appealing. The other was the price. Even the shortest trip is NOT cheap. The more I heard about it the more I felt like there had to be something to the hype. So I broke down and booked the tour. Thank god I did! It was amazing! Words cannot describe the scenery we got to view. Those 3.5 hours flew by and I could have stayed on a lot longer. You can’t get a firm grip on how high this railroad goes (it ascends 3,000 feet in just 20 miles) until you pull out of the train station and start actually heading up the mountain. As you go higher and higher, you also start to see exactly how close to the edge this train travels. I can go on and on about this train ride but really, you have to see it for yourself. You absolutely 100% cannot miss out on this excursion. TIP: Try to ride in the very back. There is a small balcony you can go out on and just watch the tracks go by under your feet. It’s seriously unreal. Standing at the very back of the train as it heads up the mountain. One area of Skagway that is not mentioned very much is the town of Dyea.. or what used to be the town of Dyea. If you love history, you need to visit this area. The ghost town of Dyea is about 11 miles down the Dyea Highway. So you will need to find a mode of transportation to get there. Due to this, we saw bike riders and heard of people renting cars or shuttles to get down there. We chose Skagway Scooters (more on them in a minute). Dyea was built up during the Klondike Gold Rush in 1897 largely due to nearby Chilkoot Trail that allowed access up the mountain to the gold mines. By May 1898, there were over 8,000 residents with dozens of hotels, restaurants, saloons and freighting companies. Unfortunately, the construction of the White Pass Railroad led to the abandonment of Dyea. Fires and floods have destroyed the majority of the town but there are several ruins and historical markers left there today. If you are looking for an amazing piece of history with very little people around, you need to head out to Dyea. 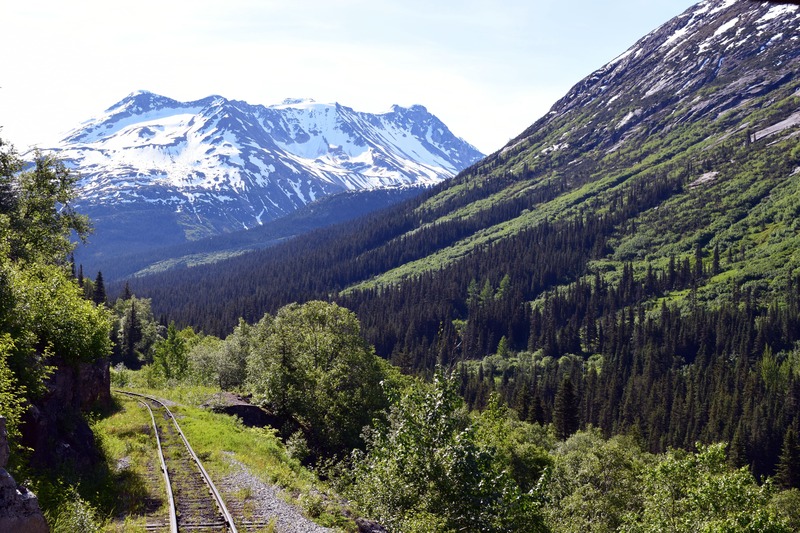 Read up on the Chilkoot Trail before you go. 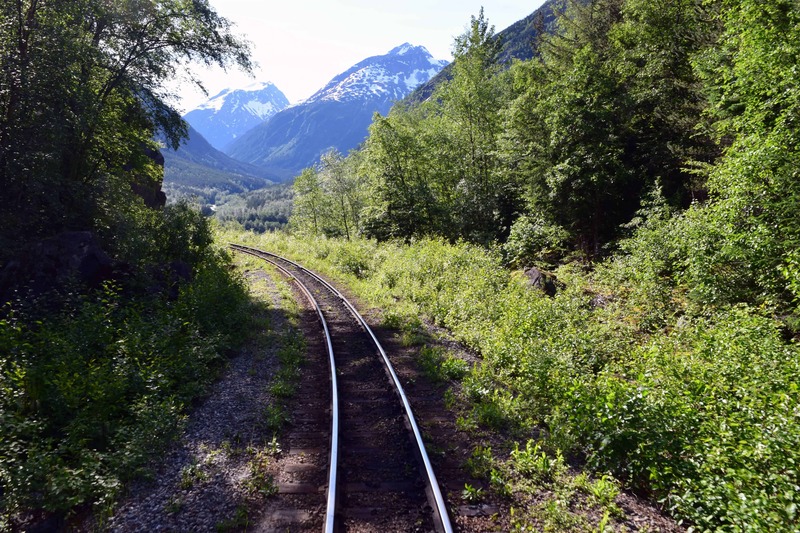 Hikers will love this trail named the “worlds longest museum” and it has inspired me to come back to Skagway someday to hike this historical trail. 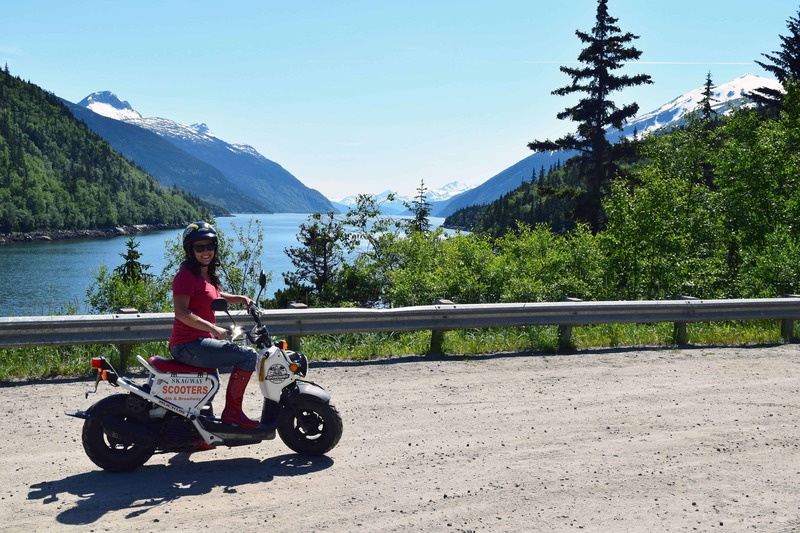 Although there are several ways to get out to Dyea, I highly suggest you rent a scooter with Skagway Scooters. This was literally the first time I’ve ever even been on a scooter, let alone drive one by myself. Another reason I loved these were that they were easy to learn and the staff at Skagway Scooters were beyond helpful. You won’t find Skagway Scooters a part of an excursion with the cruises. I was able to find them with a lot of searching and contacted the owners directly to make reservations. One of the nicest things was the price. You can choose to rent these hourly for as many hours as you want. And they were not expensive at all! I honestly wish we would have booked more hours then we did and spent every last minute exploring Skagway and Dyea on the scooter. 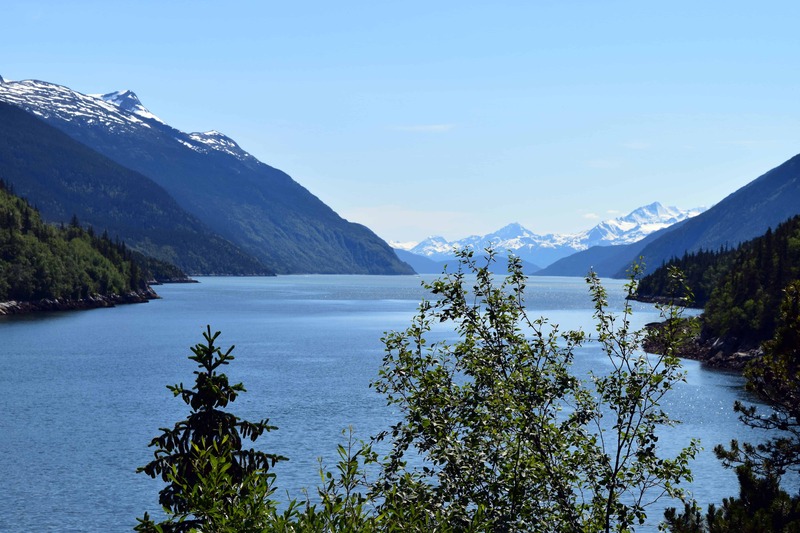 Picture this: the 11-mile drive from Skagway to Dyea was right along the ocean. As a result, the entire way we had a mountain on one side and the ocean on the other side. Bald eagles circled above us and we even stopped to watch seals play in the ocean. It was unbelievable. Most of all, we were often the only ones on the road and felt completely alone in nature. We got lucky and were the last scooter renters of the day. So the staff at Skagway Scooters told us to just enjoy them as long as we wanted, right up until it was time to get back to the ship. They even had a van waiting at their shop for us when we returned. We were able to jump off the scooters, into the van, and were driven straight back to the cruise ship minutes before boarding. Renting these scooters and driving around Skagway and Dyea were hands down the best part of our Alaskan cruise. Because of this, we were so sad to leave. I don’t know if it was because this was our last day in Alaska, or because we truly fell in love with Skagway, but leaving was so hard that night. Future plans to visit this town were already forming in our heads. Have any questions about visiting Alaska on a cruise? Send them my way and I’ll be happy to answer them the best I can! Great info! I was just wondering, were you able to leave the scooters to explore the Ghost Town of Dyea? Or is it enough to just ride around? Yes! The scooters have keys to operate them. So we were able to turn them off and leave them in the parking lot at Dyea, and walk around as much as we wanted to. We could have left them anywhere really! Also, how many hours did you have the scooters? We only booked them for 2 hours, because we thought we had so much else to do. But I really wish we would have booked them longer and spent more time exploring the town and more of Dyea too. 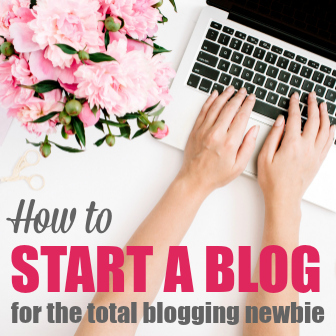 We are currently planning our Alaskan Cruise so I was super happy to find your blog. I truly appreciate all of the great information. We are a family with grown children who will be going with us and we camp and back pack so we want to get the most out of our trip just as you did. How far in advance did you reserve the scooters? Oh, awesome, you all will LOVE it! We are big campers too! I think we booked the scooters a few months out. But that’s because I book EVERYTHING as soon as I can (I’m a planner!) so I have the first choice of times. They did say they book up so you definitely cant get them the day you get into port without a reservation. The owners have an email, contact them and ask! They were so great and we emailed back and forth a few times. Seriously the nicest people to deal with. 1. Did you see a lot of Orcas? We are debating taking a whale watching excursion but am not sure if it is going to be worth it if we are going to see some from the ship. 2. Also, was it a hassle to carry around a large camera like the Nikon? Again, thank you! I am so excited after reading your blog posts!! We did see a lot of Orcas! But from the ship, they are very far away. If you want to see them close up, definitely go on a whale watching excursion. We didn’t but I kind of wish we did. Other cruisers we talked to on our ship did, and said the boat captain takes you to spots where orcas are known to be, and drop a ton of food in the water… so they come up really close to you! About the camera… not at all! I’m SOOOO glad we brought it. We bought a special backpack that had padded sections for the camera. So most of the time it was in there, or around my neck. I don’t ever remember it being a bother. 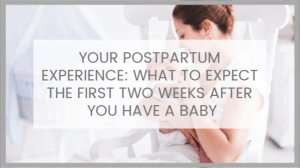 1) when do you think you’ll post the what to pack? 2) do you have any posts on your Seattle stay? Hi Leslie! I’m currently working on the what to wear part but feel free to email me at [email protected] and I can give you some tips sooner! I don’t have a post on the Seattle part but you just made me think maybe I should! We spent 2 days there before the cruise! I have been reading lots of blogs on Alaska, but yours has been the best. Lots of useful information and some different suggestions that I hope to follow. Thank you for writing and I’m looking forward to your ‘What to wear’ segment! Thank you! That was one of the reasons I wanted to write these posts. I was SO frustrated and never found the info I was looking for. Glad you found it useful! 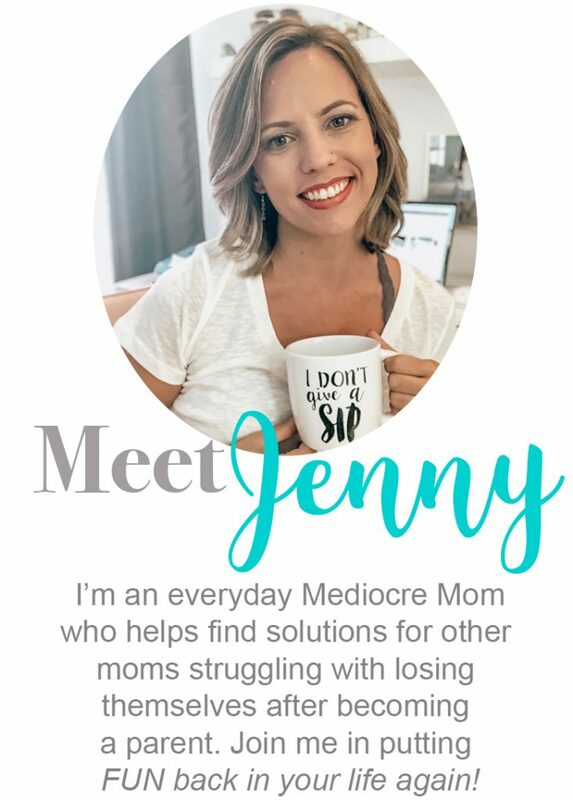 Thank you so much, Jenny!! 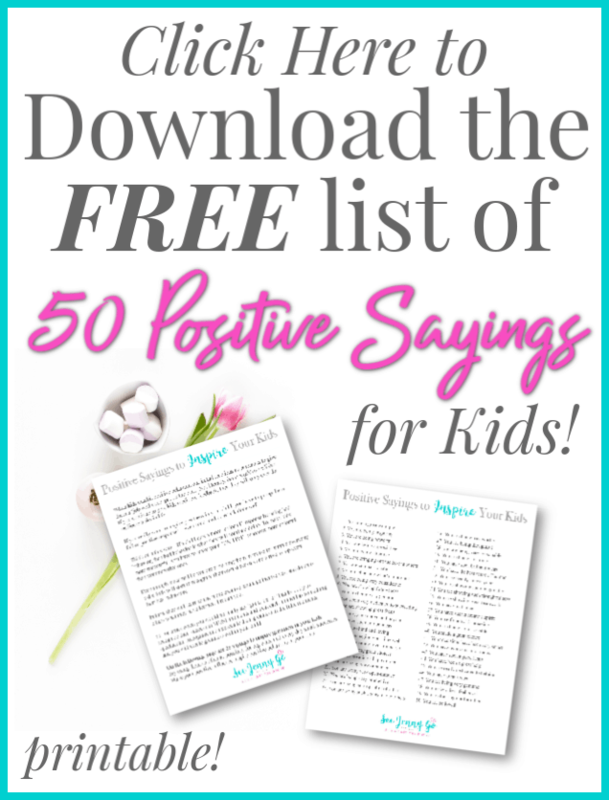 This is some great information! We are going in May, so I’m looking forward to your What to Pack post!